Don’t forget: the books mentioned below are available at 20% off for tablehopper readers for two weeks following this mention at Green Apple Books—simply use the code “tablehopper” at checkout (either at the store or online) for your discount. 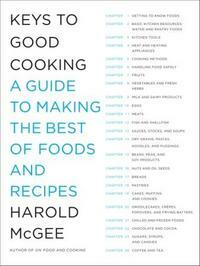 It’s been a fine year for new cookbooks, so honing a list of the “best” is always hard. Personally, my favorite food and drink book of the year was The Hour, but here are six of the finest fall releases. Bon appetit! Amanda Hesser has tackled the difficult task of winnowing the 150+ years of New York Times archives into 1,000 recipes, and she has conquered. This compendium of home kitchen-tested recipes covers American culinary history, really. This “doorstop” of a cookbook includes a brief (often historical) introduction to each recipe, extensive timelines of food trends in America, menu planning suggestions, and more. It’s an amazing book for the curious cook looking to (re)discover food. You can read more in the review I did for tablehopper here. Jam: it’s delicious. And this book will tell you everything you need to know in order to make it yourself. 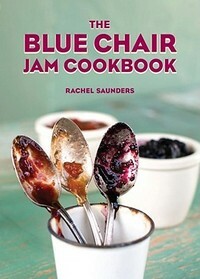 Rachel Saunders is truly a jam expert, and her book provides an essential, accessible explanation of how jam ‘works’, as well as detailed information about the ways in which fruits can be used and combined to reach their best flavor and texture potential. Filled with detailed instructions, beautiful step-by-step photos, and dozens of unique recipes, this is truly the essential compendium for beginning jam makers and seasoned pros alike. For those of you who were not fortunate enough to grow up with an Italian grandmother who loved to cook, I am very, very sorry. As a consolation, I give you this, perhaps the next best thing. 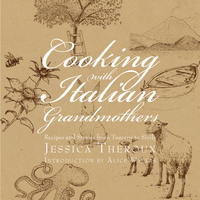 Jessica Theroux traveled throughout Italy and met dozens of Italian women who offered up the very best of their cooking expertise—compiled here into a fantastic volume that rivals even my grandmothers’ recipes. Charming anecdotes pair with each woman’s recipes, making this a great book to read, and cook from. 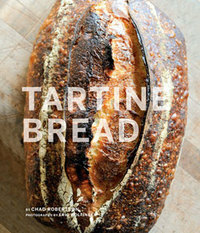 This is an excellent cookbook of simple, high quality, delicious recipes from the head chef of Chez Panisse. 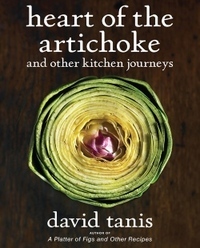 Comprised of five different menus for each season of the year; an additional section on cooking for larger groups; and a section on simple cooking pleasures for one or two; David Tanis’s food philosophy and wisdom is apparent in each and every recipe. The focus here is on making the best of what’s available, which for Tanis means using local, seasonal produce to create elegant, down-to-earth cuisine. Happy cooking, and thanks for reading.